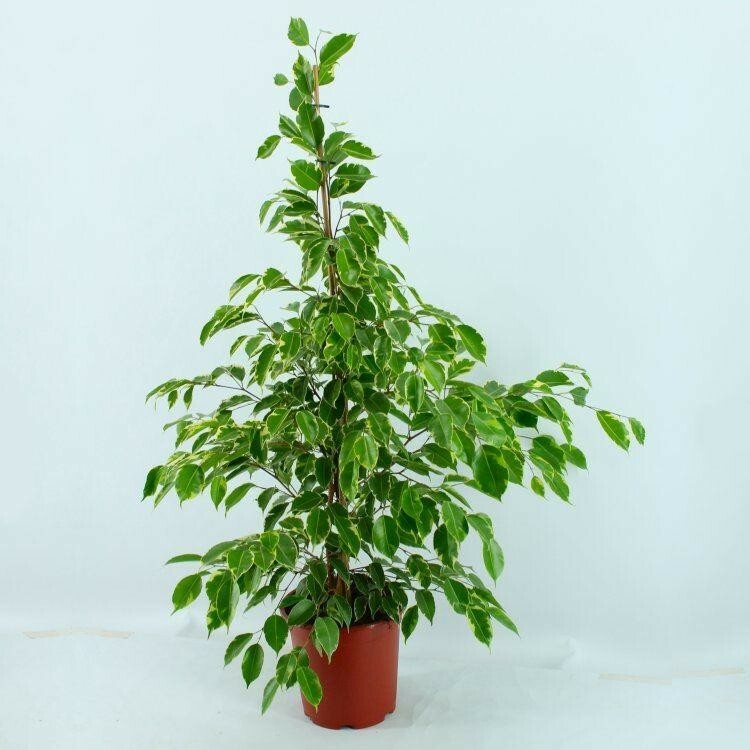 Ficus benjamina Golden King is a popular form of Weeping Fig, being one of the most popular house plants available. It is the perfect choice for a variety of positions you might have be that at home or in the office! 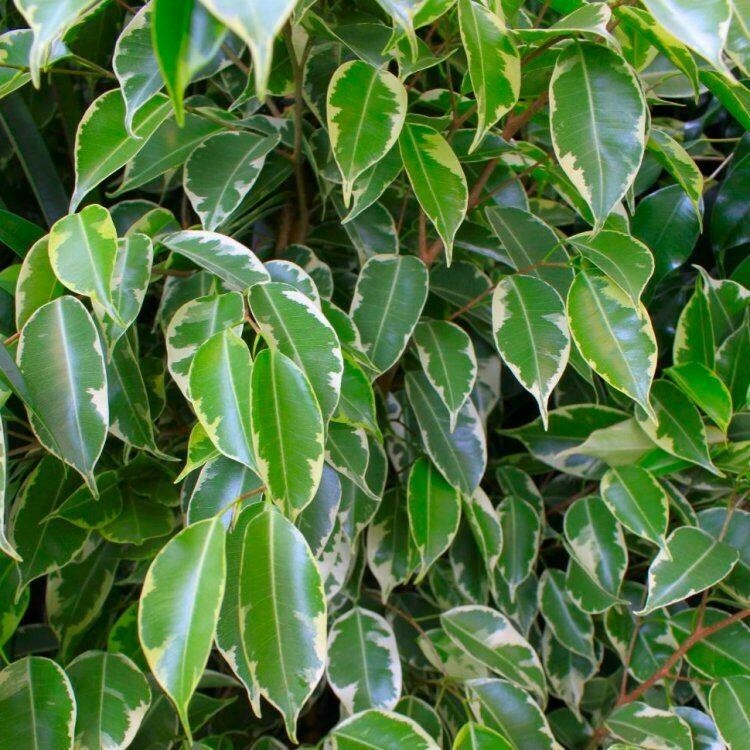 The beautiful glossy foliage is variegated with creamy gold highlights, providing an extremely attractive ornamental look. An adaptable and easy to grow plant, you can even try them outside in the summer as a centre piece to a tropical bedding plant display or planter perhaps. As with many indoor plants, the Ficus promotes feelings of well being, purifying the air. Supplied at around 100-150cms+ tall.